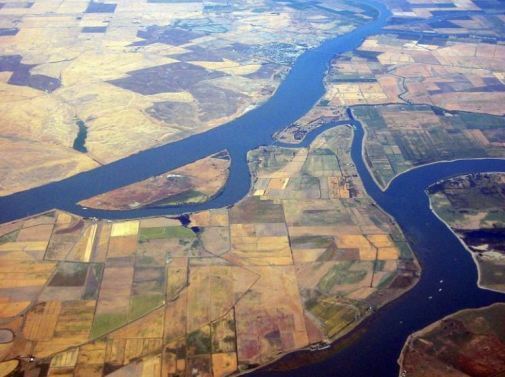 SACRAMENTO, Calif. (CN) – The $11 billion first leg of California’s plan to divert water from its largest delta will pay dividends for cities and farmers and improve water quality, according to a state-sponsored study released Tuesday. The long-awaited cost-benefit analysis, conducted by a University of California, Berkeley professor, concludes that it’s worth it for water suppliers to foot the bill for the ambitious public works project touted by Gov. Jerry Brown. It finds “under all scenarios analyzed” that the California WaterFix or “delta tunnels” would benefit stakeholders and provide billions in net benefits. Contracted by the California Department of Water Resources, natural resources professor David Sunding echoes Brown and other proponents’ familiar talking points by claiming that the mammoth water project is more feasible than alternatives. The study comes less than a week after the state announced it was willing to build the WaterFix in stages due to fundraising problems. The project calls for two tunnels with an estimated $16 billion price tag, with the first tunnel operable by 2031. Sunding’s study focuses on stage one, which calls for two new intakes along the Sacramento River and a single tunnel capable of pumping 6,000 cubic feet of water per second around the Sacramento-San Joaquin River Delta. The UC Berkeley professor says urban agencies, such as the Metropolitan Water District in Southern California, would see a $2 to $4 billion benefit depending on how they finance their share of the $11 billion cost. Farming districts would see “several hundred million dollars” in benefits along with cleaner water. Project opponents quickly attacked the study, calling it “incomplete” and overly reliant on an unproven modeling system. Sunding agreed with state officials that the WaterFix would ward against sea-level rise by creating new intakes in the northern delta, and prepare the state’s water infrastructure for future earthquakes. He added that if the state secures funding for the second stage, additional economic analysis would be needed.